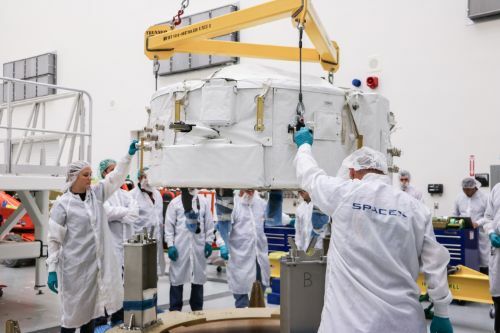 Launched early on Monday, Dragon completed a flawless rendezvous and will be berthed to the Station later on Wednesday to mark the start of a five-week stay facilitating the delivery of 2,257 Kilograms of cargo. Dragon is the third spacecraft to arrive at the International Space Station in a period of one and a half weeks, following a pair of Russian missions: Soyuz MS-01 that carried Anatoli Ivanishin, Takuya Onishi and Kate Rubins to ISS July 7-9 and the Progress MS-03 cargo ship that pulled into its orbital parking spot Monday night after a two-day link-up with the complex. Stowed in the pressurized cargo carrier of the Dragon spacecraft are 930 Kilograms of science hardware supporting dozens of experiments conducted in the one-of-a-kind laboratory that is ISS. Among the science aboard Dragon is a group of 12 male mice, flown by the Japanese Aerospace Exploration Agency to live in space for a month before returning to Earth alive – a first for ISS as previous rodents headed to Station only had a one-way ticket. The study looks at the effects of the space environment on the internal organs of the mice and is the first to look at adverse effects on multiple generations. 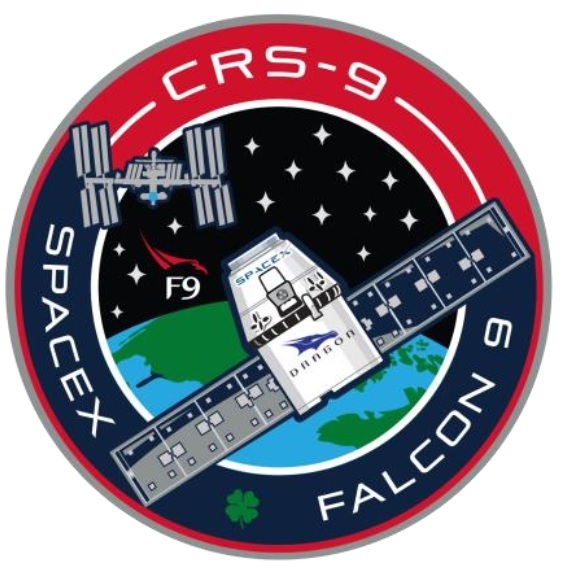 Also aboard the Dragon is a new Biomolecule Sequencer, a device enabling DNA sequencing in orbit – no longer requiring samples to be returned to Earth and adding to the Station’s scientific repertoire. A new type of heat exchanger is set for a test in the space environment for application on future spacecraft, two studies look at the loss of bone mass and changes to heart tissue undergone in microgravity, and commercial payloads use ISS as a testbed for new technology including a global ship traffic tracking device, commercial electronics evaluated in the radiation environment of Low Earth Orbit, and 3D Solar Cells capable of efficient power generation even when not directly pointed at the sun. Dragon also delivers 370 Kilograms of food, clothing and hygiene supplies for the crew, 54kg of Russian hardware and 127 Kilograms of Spacewalk hardware, notably a refurbished Extravehicular Mobility Unit that will replace one of the Station’s space suits. Flying in the external Trunk Section of Dragon is possibly the most important component delivered by the SpX-9 mission: International Docking Adapter 2 – a critical device needed in the conversion of the Station’s Space Shuttle Docking Ports to conform with the International Docking Standard employed by the Commercial Crew vehicles set for their first test flights late next year. After IDA-1 was lost in the Dragon SpX-7 launch failure, the pressure on this Dragon was high in order to keep the Commercial Crew schedule as it currently stands. IDA-2 will be removed from Dragon using the Station’s robotic arm and Dextre robot and attached to Pressurized Mating Adapter-2 on the forward port of Harmony which supported 35 Shuttle visits to the ISS. An August 18 spacewalk by Jeff Williams and Kate Rubins will finish the installation of IDA-2 by mating various electrical and commodity connections between PMA and IDA. 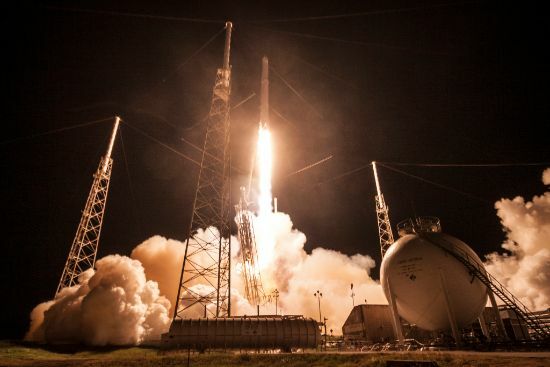 Dragon SpX-9 lifted off from Cape Canaveral at 4:45 UTC on Monday atop a Falcon 9 rocket. 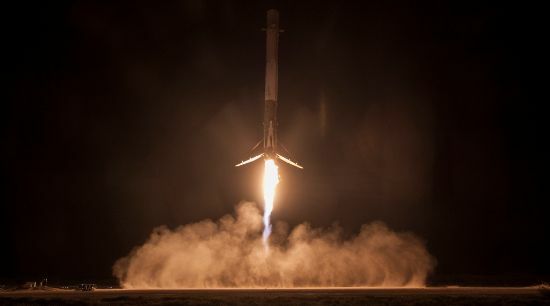 While Dragon received a smooth nine-minute ride into orbit, the first stage of the Falcon 9 was successful in boosting itself back toward a landing at Florida’s Space Coast and coming to rest on its four landing legs in the center of Landing Zone 1 a few Kilometers south of where it lifted off from eight minutes earlier. Dragon started out in an orbit of 204 by 355 Kilometers inclined 51.66 degrees, successfully executing its first steps by deploying its two power-generating solar arrays and later on opening the GNC bay door to expose the vehicle’s star trackers for attitude determination, the rendezvous navigation sensors and the grapple fixture. 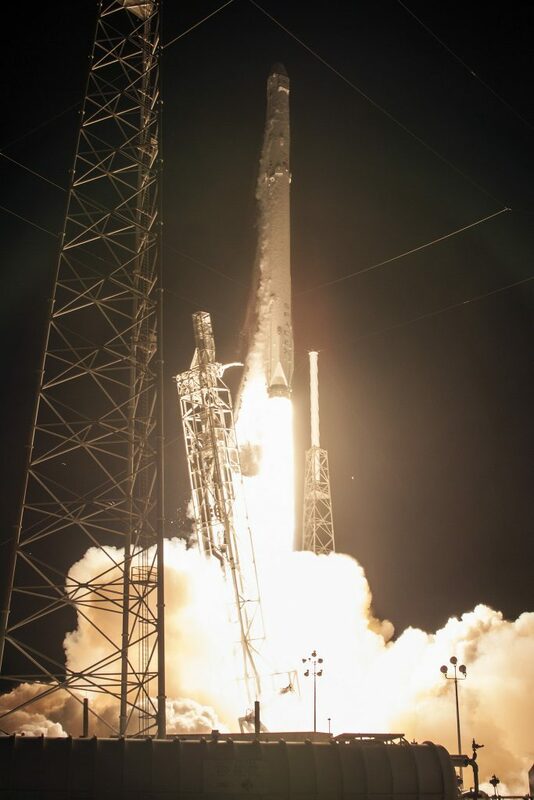 With a clean bill of health, Dragon was cleared to begin raising its orbit just a few hours after launch via a Height-Adjust & Coelliptic Burn pair, lifting the spacecraft into a 391 x 393-Kilometer orbit. Another HA/CE burn pair placed the Dragon into an orbit 2.5 Kilometers below that of ISS, approaching from behind and below to enter the ISS Communications Zone that extends out as far as 28 Kilometers. Establishing a space-to-space UHF link, Dragon and ISS began exchanging GPS data to enter the relative navigation phase of the rendezvous. 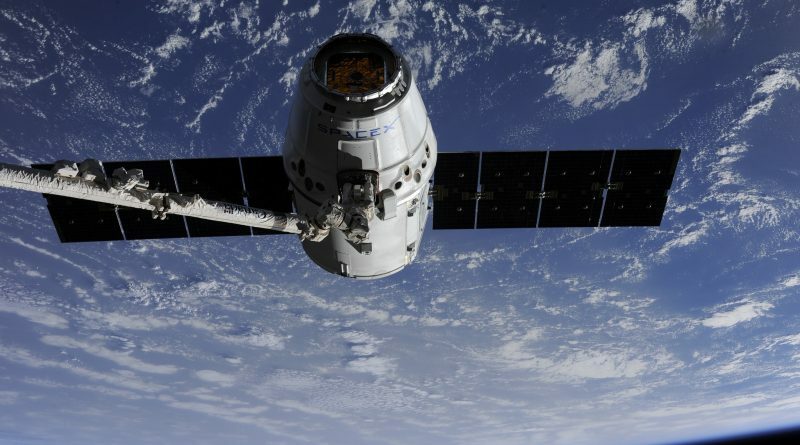 NASA and SpaceX entered Integrated Operations between the ISS Mission Control Center at the Johnson Space Center and the SpaceX Dragon Control Center in Hawthorne, California with NASA in charge of the overall decision-making during the rendezvous and MCC-X responsible for controlling the Dragon. Another set of maneuvers put Dragon into an orbit 1.4 Kilometers below ISS ahead of the 0.3m/s Approach Initiation Maneuver around 8 UTC to allow Dragon to reach a point directly below the Station. Aboard ISS, Jeff Williams and Kate Rubins started monitoring the approach of the vehicle when Dragon reached 1,000 meters. A test command was sent through the COTS UHF Communications Unit, activating Dragon’s strobe light to confirm the spacecraft could receive and execute commands from the Space Station. 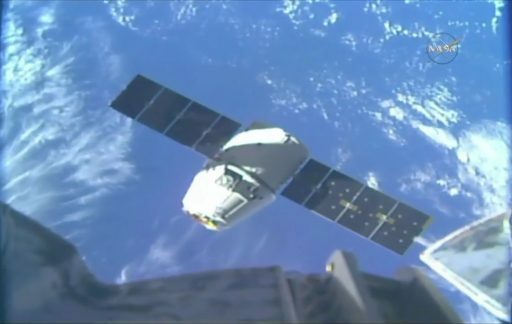 Dragon arrived on the R-Bar at a distance of 350 meters, beginning a straight-up approach to its capture point. A 180-degree Yaw maneuver was made to place the vehicle’s Draco thrusters to the correct direction for a posigrade abort maneuver in case of problems. As part of its initial approach along the R-Bar, Dragon switched to its DragonEye Rendezvous Sensors consisting of a LIDAR (Light Detection And Ranging) and a thermal instrument used to acquire range, range rate and relative position data of Dragon and ISS. LIDAR measures the time it takes for a single laser pulse from the sensor to reach a target and bounce back to provide three-dimensional images of its Field of View. 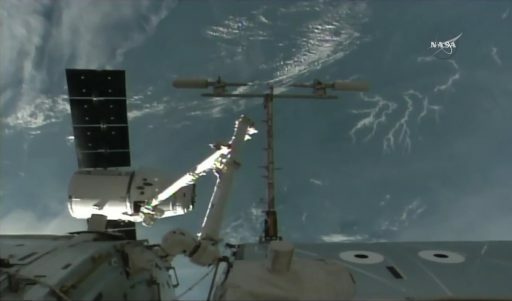 The thermal imagers acquire Infrared Imagery of the space station used to provide additional navigation data concerning relative geometry between the spacecraft that is compared with LIDAR data to make sure Dragon has accurate navigation information. Dragon automatically halted its approach at 250 meters for a check of its navigation sensors before resuming its climb to ISS under the watchful eyes of the crew who kept track of Dragon’s approach via a software known as Rendezvous and Proximity Operations Program (RPOP) that shows the actual spacecraft position compared to the expected vehicle outline at each stage of the rendezvous to allow the crew to assess Dragon’s position within the pyramidal approach corridor. 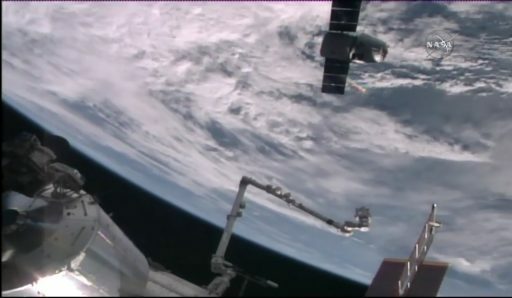 Dragon arrived at 30 meters at 9:51 UTC for a half-hour pause during which the crew set up external cameras for the capture and Mission Control verified Dragon’s systems were operational. Final approach was initiated at 10:21 UTC as Dragon gently pulsed its thrusters to cover the final 20 meters to the Capture Point. The spacecraft arrived at the Capture Point at 10:37 UTC and automatically reduced relative rates to hold perfectly still with respect to ISS. Mission Control relayed a GO for Capture to the crew who then worked at their own pace to release the brakes of the robotic arm and begin the capture sequence. Flying the arm was Jeff Williams, using a camera on the Latching End Effector of Canadarm2 to track Dragon’s grapple fixture installed on the GNC bay door of the spacecraft. 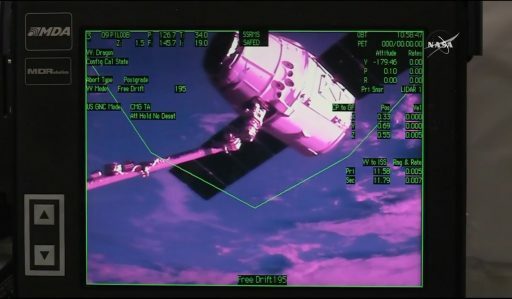 Dragon entered Free Drift upon command from ISS which itself entered a Fine Attitude Hold to ensure there would be no unintentional motion with the arm close to the spacecraft. With the LEE in position over the grapple fixture, Williams commanded snares to close to obtain a firm grip of the Dragon. 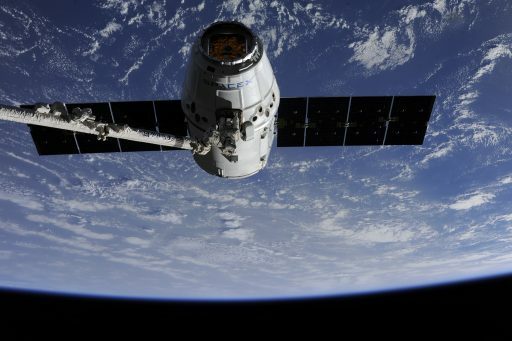 Capture was confirmed at 10:56 UTC while the complex was flying 400 Kilometers over the United States, passing over the Great Lakes – marking Dragon’s arrival after a flawless rendezvous with no technical issues encountered between launch and capture. 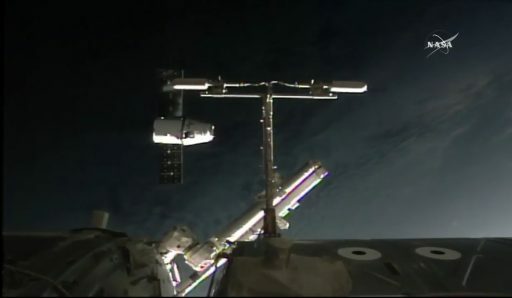 With a firm grip on the Dragon, Canadarm2 was put through safing steps and the crew reconfigured the COTS UHF Communications Unit while SpaceX MCC sent commands up to Dragon to reconfigure it for its stay aboard ISS, stopping solar array rotation and disabling the propulsion system. The crew then handed robotic duties off to ROBO controllers on the ground who spent several hours maneuvering the spacecraft to a berthing with the nadir Common Berthing Mechanism on Harmony. 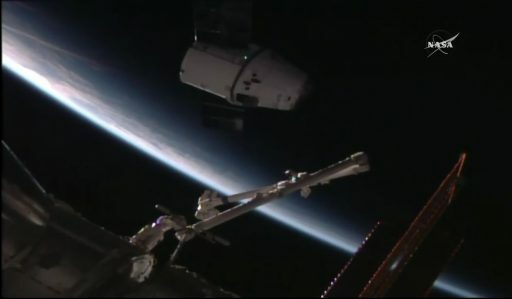 Dragon first made its way to the planned capture position from where pre-programmed maneuvers placed the craft to a standoff, two meters from the Harmony module where cameras were used for a survey of Dragon’s berthing mechanism with particular focus on the integrity of the O-Rings that form the redundant pressure seal between ISS and Dragon. Controllers then brought the spacecraft in for berthing, carefully adjusting its position using the Centerline Berthing Camera System to achieve four GREEN Ready to Latch Indicators. 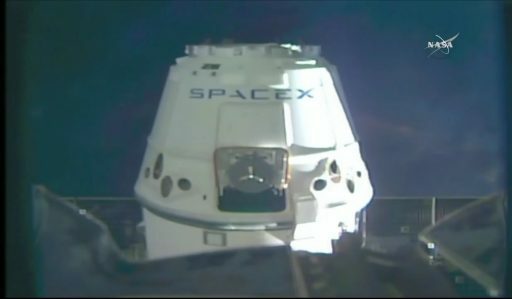 Four capture latches were closed before the robotic arm was commanded to limp mode, providing some wiggle room for Dragon when CBM bolts were driven. Four sets of four bolts were driven to fully secure Dragon to Harmony, obtaining what is known as Second Stage Capture, marked at 14:03 UTC. Post-berthing steps include loading each bolt with a specific torque before the crew can pressurize the vestibule between ISS and Dragon for the standard leak check. 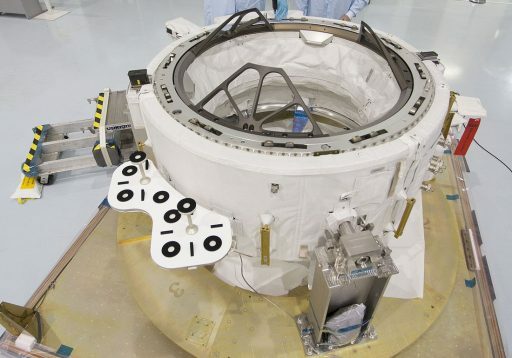 When the Harmony hatch is opened, the crew will get started with the lengthy Vestibule Outfitting task that includes the removal of four Control Panel Assemblies that were used to drive the CBM bolts, the installation of power and data jumpers and the removal of the Central Disk Cover. 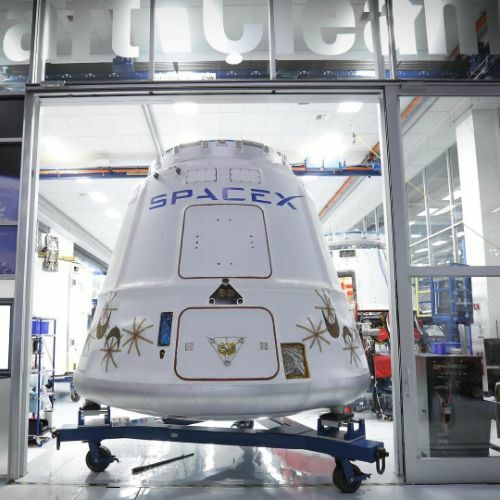 Hatch opening on the Dragon is scheduled for Thursday, but may be performed earlier depending on how quickly berthing and vestibule outfitting can be completed in the crew’s timeline on Wednesday.